Dont want to go out? Dont worry we’ll bring the mobile cocktail making classes to you. 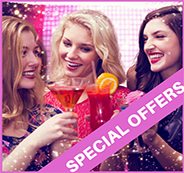 This has proven a huge hit with hen parties, birthdays and corporate events. Just tell us where and when and we will provide all the equipment, drink stock and glassware. Also, importantly the tricks of the trade from an experienced mixologist. When you choose a party at home, you release any stress of travelling and organising transport, so you can totally relax and focus on your special day. All of our mobile parties can be held across the UK, just let us know where you are and we’ll bring everything you need. Perfect for cottages, apartments or if your after some ideas at home. 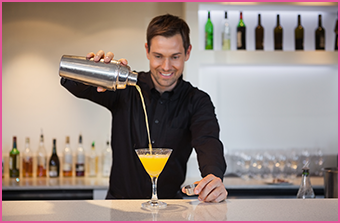 During the mobile cocktail making classes each guest will learn to mix, muddle and shake a variety of cocktails. The mixologist will arrive in advance to set up and prepare for the class. Also after the class, your bartender will ensure that everything used for the activity is packed away. As mentioned, its perfect solution for something totally different for your celebrations, and if you’re after hen party ideas at home. Or maybe its a family birthday! Either way we’ll ensure that the special person has a fun and interactive mobile activity to remember. The mobile cocktail making class lasts for 2 hours and includes everything needed for the day. Perfect hen party idea at home, apartments or cottages. Includes all ice, stock, bar tender and everything needed for the day.